Wind is moving air, which is travelling from one place to another. This movement is linked to air pressure, as air moves according to different pressure systems.There are two pieces of information that we need about the wind. We need to know its	direction and its strength. Wind direction is measured by a wind vane which is an arrow mounted on top of an elevated site. The wind vane is designed so that its arrow points into the wind. With a compass aligned with the arrow, one can determine the direction of the wind. Wind speed or velocity is measured with either an anemometer or radar. The anemometer, usual consists of several cups mounted sideways and extended out on a rotating axis or pole. The cups catch the wind and the more turns of the attached cups, the greater the wind speed. Doppler radar is also used to measure wind speed. It works like a police radar gun aimed at speeding cars, but in this case is aimed at speeding winds with microwaves. A scale for measuring wind speed is called the Beaufort scale. On this scale winds are ranked from the calmest air movement at 0 to hurricane winds at 12. calm, light air, light breeze, gentle breeze, moderate breeze, fresh breeze, strong breeze, moderate gale, fresh gale, strong gale, whole gale, storm and hurricane. The word anemometer comes from the Greek word for wind, "anemos". In 1450, the Italian art architect Leon Battista Alberti invented the first mechanical anemometer. This instrument consisted of a disk placed perpendicular to the wind. It would rotate by the force of the wind, and by the angle of inclination of the disk the wind force momentary showed itself. The same type of anemometer was later re-invented by Englishman Robert Hooke who is often mistakenly considered the inventor of the first anemometer. The Mayans were also building wind towers (anemometers) at the same time as Hooke. Another reference credits Wolfius as re-inventing the anemometer in 1709. The hemispherical cup anemometer (still used today) was invented in 1846 by Irish researcher, John Thomas Romney Robinson and consisted of four hemispherical cups. The cups rotated horizontally with the wind and a combination of wheels recorded the number of revolutions in a given time. On an anemometer with four cups it is easy to see that since the cups are arranged symmetrically on the end of the arms, the wind always has the hollow of one cup presented to it and is blowing on the back of the cup on the opposite end of the cross. Studies of the forces involved show that the force is greater on the cup side of the device and the net force causes the cups to spin, but in this case the balance of forces is not obvious. Unfortunately, when Robinson first designed his anemometer, he stated that no matter what the size of the cups or the length of the arms, the linear speed of the cups always moved with one-third of the speed of the wind. This result was apparently confirmed by some early independent experiments, but it is very far from the truth. It was later discovered that the actual relationship between the speed of the wind and that of the cups, called the anemometer factor, depended on the dimensions of the cups and arms, and may have a value between two and a little over three. This had the result that wind speeds published in many official 19th century publications were often in error. The three cup anemometer developed by the Canadian John Patterson in 1926 and subsequent cup improvements by Brevoort & Joiner of the USA in 1935 led to a cupwheel design which was linear and had an error of less than 3% up to 60 mph. Patterson found that each cup produced maximum torque when it was at 45 degrees to the wind flow. The three cup anemometer also had a more constant torque and responded more quickly to gusts than the four cup anemometer. The other forms of mechanical velocity anemometer may be described as belonging to the windmill anemometer type. In the Robinson anemometer the axis of rotation is vertical, but with this subdivision the axis of rotation must be parallel to the direction of the wind and therefore horizontal.  Furthermore, since the wind varies in direction and the axis has to follow its changes, a wind vane or some other contrivance to fulfill the same purpose must be employed. An aerovane combines a propeller and a tail on the same axis to obtain accurate and precise wind speed and direction measurements from the same instrument. In cases where the direction of the air motion is always the same, as in the ventilating shafts of mines and buildings for instance, wind vanes, known as air meters are employed, and give most satisfactory results. Hot wire anemometers use a very fine wire (on the order of several micrometers) heated up to some temperature above the ambient. Air flowing past the wire has a cooling effect on the wire. As the electrical resistance of most metals is dependent upon the temperature of the metal (tungsten is a popular choice for hot-wires), a relationship can be obtained between the resistance of the wire and the flow velocity. Several ways of implementing this exist, and hot-wire devices can be further classified as CCA (Constant-Current Anemometer), CVA (Constant-Voltage Anemometer) and CTA (Constant-Temperature Anemometer). The voltage output from these anemometers is thus the result of some sort of circuit within the device trying to maintain the specific variable (current, voltage or temperature) constant. Typically, the anemometer wire is made of platinum or tungsten and is 4 ~ 10 µm (158 ~ 393 µin) in diameter and 1 mm (0.04 in) in length. Typical commercially available hot-wire anemometers have a flat frequency response (less than 3 dB) up to 17 kHz at the average velocity of 9.1 m/s (30 ft/s), 30 kHz at 30.5 m/s (100 ft/s), or 50 kHz at 91 m/s (300 ft/s). Due to the tiny size of the wire, it is fragile and thus suitable only for clean gas flows. In liquid flow or rugged gas flow, a platinum hot-film coated on a 25 ~ 150 mm (1 ~ 6 in) diameter quartz fiber or hollow glass tube can be used instead. Another alternative is a pyrex glass wedge coated with a thin platinum hot-film at the edge tip. Laser Doppler anemometers use a beam of light from a laser that is split into two beams, with one propagated out of the anemometer. 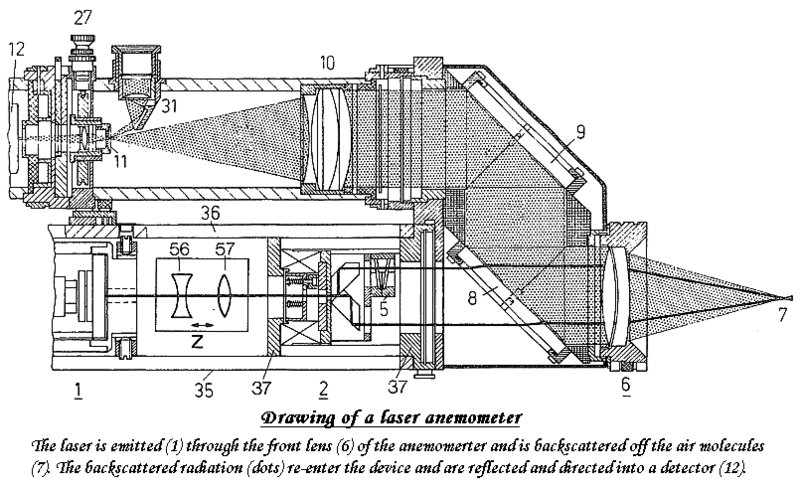 Air molecules near where the beam exits reflect, or backscatter, the light back into a detector, where it is measured relative to the original laser beam. When the air molecules are in great motion, they produce a doppler shift for measuring wind speed in the laser light, which is used to calculate the speed of the molecules, and therefore the air around the anemometer. Plate are the earliest anemometers and are simply a flat plate suspended from the top so that the wind deflects the plate. They date from the Italian Leon Battista Alberti in about 1450 and Robert Hooke in 1664. Later versions of this form consisted of a flat plate, either square or circular, which is kept normal to the wind by a wind vane. The pressure of the wind on its face is balanced by a spring. The compression of the spring determines the actual force which the wind is exerting on the plate, and this is either read off on a suitable gauge, or on a recorder. Instruments of this kind do not respond to light winds, are inaccurate for high wind readings, and are slow at responding to variable winds. Plate anemometers have been used to trigger high wind alarms on bridges. James Lind's anemometer of 1775 consisted simply of a glass U tube containing liquid, a manometer, with one end bent in a horizontal direction to face the wind and the other vertical end remains parallel to the wind flow. 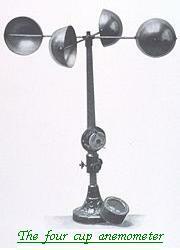 Though the Lind was not the first it was the most practical and best known anemometer of this type. If the wind blows into the mouth of a tube it causes an increase of pressure on one side of the manometer. The wind over the open end of a vertical tube causes little change in pressure on the other side of the manometer. The resulting liquid change in the U tube is an indication of the wind speed. Small departures from the true direction of the wind causes large variations in the magnitude. The highly successful metal pressure tube anemometer of William Henry Dines in 1892 utilized the same pressure difference between the open mouth of a straight tube facing the wind and a ring of small holes in a vertical tube which is closed at the upper end. Both are mounted at the same height. The pressure differences on which the action depends are very small, and special means are required to register them. The recorder consists of a float in a sealed chamber partially filled with water. The pipe from the straight tube is connected to the top of the sealed chamber and the pipe from the small tubes is directed into the bottom inside the float. Since the pressure difference determines the vertical position of the float this is a measure of the wind speed. While the Dines anemometer had an error of only 1% at 10 mph it did not respond very well to low winds due to the poor response of the flat plate vane required to turn the head into the wind. In 1918 an aerodynamic vane with eight times the torque of the flat plate overcame this problem. A Ultrasonic anemometer determines instantaneous wind speed and direction (turbulence) by measuring how much sound waves traveling between a pair of transducers are sped up or slowed down by the effect of the wind. The sonic anemometer was invented by geologist Dr. Andreas Pflitsch in 1994. Ultrasonic anemometers are capable of measuring wind velocity in all directions. The spatial resolution is given by the path length between transducers, which is typically 10 to 20 cm. Sonic anemometers can take measurements with very fine temporal resolution, 20 Hz or better, which make them well suited for turbulence measurements. The lack of moving parts makes them appealing to automated weather stations. Their main disadvantage is the distortion of the flow itself by the structure supporting the four to six transducers, which requires a correction based upon wind tunnel measurements to minimize the effect. An international standard for this process, ISO 16622 Meteorology -- Sonic anemometers/thermometers -- Acceptance test methods for mean wind measurements is in general circulation. Two dimensional (wind speed and wind direction) sonic anemometers are used in applications such as small weather stations, ship navigation, wind turbines and aviation. A weather vane (or wind vane) is an instrument for measuring wind direction. It is a simple instrument, consisting of an arrow, or any figure, mounted on a rod. This rod moves in the direction of the wind when there is breeze. The front part of the vane is more or less pointed and the back end is wide, so that even the slightest breeze will move the vane. The arrow turns until the wind is equally distributed on either side of the weather vane, making the front part indicate the exact direction of the wind. Wind vanes are placed in open and high places to catch the wind. Weather vanes are one of the oldest wind instruments used by man. The oldest wind vane has been traced to the Tower of Winds in Athens, Greece, and dates back to 48 BC. Over the centuries, weather vanes have been used as ornaments to display the icons of various cultures, religions and countries. At one point of time, these weather vanes were most likely used as flags, as the origin of the word “vane” seems to have come from the Anglo-Saxon word “fane”, which means flag. Weather vanes have no doubt been used to represent patriotic feelings. Weather vanes, even today, are used more as ornaments on buildings than for any other specific purpose. Even office buildings are sporting weather vanes with corporate logos etched on them. They can be custom designed, from the size of the vane, to the material used, and of course the design. Modern wind vanes are also mounted with an anemometer, a device for measuring the speed of the wind. They may also be connected to a remote reading station. Modern weather vanes are rust free and maintenance free. 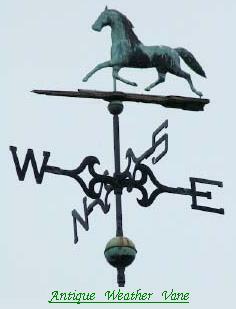 The wind vane must be mounted at a distance from the nearest obstacle equal to at least twice the height of the obstacle above the vane if the observed wind direction is to be representative of meteorologically significant wind patterns; for this reason, the vane is often mounted on a pole or tower that is in turn mounted on the roof of a tall building. 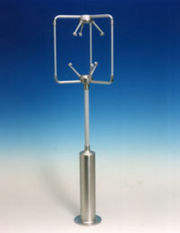 Weather vanes are available in hundreds of models and designs. They can be crafted to suit the exact feature of the house, its location, and the unique taste of the customer. Weather vanes are available in wrought iron, aluminum, copper, brass, bronze or steel. They are made in different shapes ranging from simple arrows to shapes of animals, birds, humans, crests, exotic figurines, or a combination of these themes. Antique weather vanes are so much in demand that there are some dealers who specialize in recreating weather vanes to look like antiques. Though weather vanes are more popular for the “country” or “farm” look, they can add a graceful touch to any building. Weather vanes are also used as decorative items inside the house or even on desktops. There are many other references to weather vanes in history right from the 1st century BC. The first authenticated weather vane in the US was supposedly made by Shem Drowne of Boston in 1716. Another vane made by the same master vane-maker was a large copper Indian vane and it was installed in 1740 on Boston’s Old North Church. Unique, antique weather vanes are very rare and much in demand. Handcrafted ones are very difficult to authenticate. There is a great demand for those made in the factories which date back to the mid-to-late nineteenth century. Some of the most popular weather vane makers were A.L. 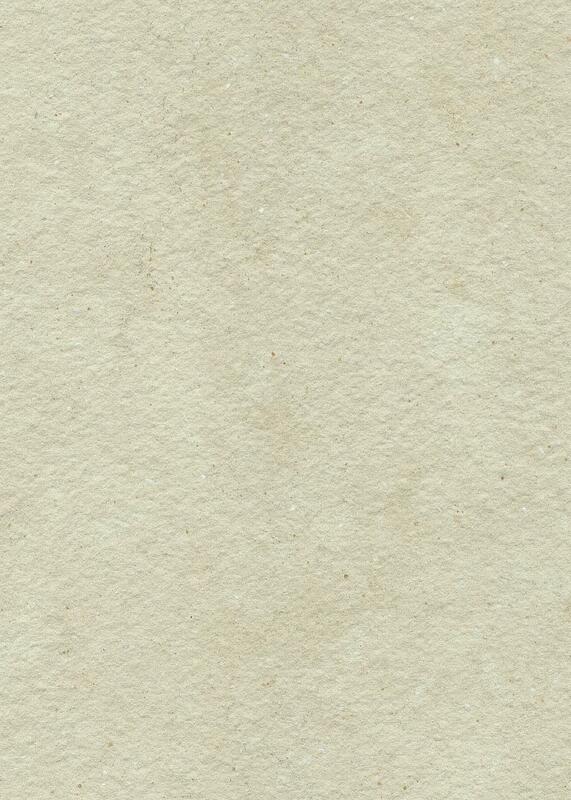 Jewell, J.W. Fiske, E.G. Washburne and Cushing and White. Some unscrupulous dealers duplicate weather vanes to look like antiques by coating them with animal manure, placing them in dirt-filled boxes with salt water and burying them underground for a few months. The antique look can also be duplicated by treating them with copper sulphate, acetic acid and potassium sulphide. Antique weather vanes were also highly experimented upon, and so we find many unique pieces like the one made by Thomas Jefferson which had a shaft that went through the roof into the room below. There was an indicator there so that the wind direction could be checked without going out of the house and looking at the vane directly. Antique iron weather vanes are also available in several types like: deck or fence weather vanes, lawn weather vanes, roof top weather vanes, table top weather vanes, and more. They are also provided with the necessary accessories and hardware like cupolas, mounting shafts, and roof mount bases. There are certain guidelines for identifying whether a weather vane is really an antique or not. Real antique vanes are much finer than fake ones. Since antique vanes were usually covered with metal sheets, rather than being painted on, they may have some square borders of gilt remaining. Also, they would have a mellow burnished finish instead of a shiny look. Since weather vanes were usually used for shooting practice in olden days, some real antique vanes may have bullet holes in them. If it has holes or fissures, then there should be some dust accumulated inside. A good shake should reveal this. Although these are not sure-fire tests for antique weather vanes, they can help to know at a glance if the vane is really antique or not. Antique weather vanes, like other antique products, are in high demand by collectors. Custom weather vanes help to give a personal touch to the landscape of any building. Custom weather vanes have become very popular because of the wide range of designs available as well as the number of designers who are willing to provide customized weather vanes to customers. Customized weather vanes can represent the personality of the owner. They can also be engraved with company’s logos or names for corporate buildings. Apart from the decorative element, they can also be designed to suit the exact landscape of the building. 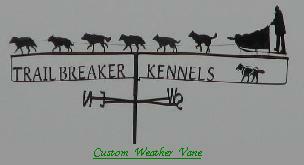 Customized weather vanes are also a big hit with collectors since they offer more variety. The mounts are also designed specifically as roof mounts, garden mounts, or flat mounts. These days, there are craftsman who are ready to design any kind of a weather vane according to the customer’s requirements. Ordering a customized weather vane has become very easy since it can be done online through specialized web sites. Custom weather vanes enable personal expression. It can be a family emblem or crest, a sports theme, a family pet, a unique design, or just something funky to look at. They are made in different shapes ranging from simple arrows to shapes of animals, birds, humans, crests, exotic figurines, or a combination of some of these. Weather vanes are available in several designs spanning: roosters, ospreys, eagles, attack eagles, ascending geese, landing ducks, feathered geese, blue herons, three geese in flight, pelicans, peace doves, pheasants, quail, cows, horses, bulls, foxes, whimsical pigs, golden retrievers, lab retrievers, cat and mouse, deer, moose, elks, dolphins, whales, bass, sailfish, schooner, yawls, sailboats, sloops, mermaids, lighthouses, country doctors, angels, pineapples, pine trees, locomotives, planes, biplanes, low wing planes, arrows, stars, suns, moons, banners, flags, golfer, firemen, lamplighters, and handsaws. Customized weather vanes can be selected on the basis of the material used, the size, and most importantly, the shape. Most weather vanes are made of bronze, copper or some other durable metals. Designers sometimes also use gold or platinum plating, copper dyes, paintings, glass work or the Verdigris finishes on custom weather vanes. Custom weather vanes can also be full-bodied, which involves careful crafting from copper sheets by hand. They are designed through the traditional techniques and processes. Hand made weather vanes are considered to be works of art and are sometimes sold for thousands of dollars. Very large weather vanes can also be custom-designed. They range from 35 inches to 55 inches or they can be even larger. They are more directional and have 4” and 6” spacer balls. Very large weather vanes can withstand strong winds and extreme weather conditions. Hence they are very suitable for large buildings or big open spaces. The white horse weather vane is one of the most popular designs. The white horse carries a certain symbolism, which makes it a favorite among many. White horses are associated with fertility, empathy, travel, power, freedom, peace, sincerity, wealth and loyalty. They are referred in the bible and their tradition dates back to the Celtic mythology. In the bible, they are used to represent virtues like righteousness, holiness and purity and also stand for salvation. White horse weather vanes hold very strong symbolic messages. They are also particularly relevant for Irish people since their folklore and fairy tales consider white horses to be very majestic. Arabian horses represent peace, friendship, sincerity and honor. White horse weather vanes are available in a wide range of shapes, sizes and finishes. Whitehorse weather vanes are also designed with one horse, a group of horses or horse with a carriage, etc. These vanes are ideal for horse lovers. They can be made of copper, wrought iron, bronze, aluminum, and stainless steel. White horse weather vanes still hold a lot of appeal for townspeople and country folk alike. Copper weather vanes are mounted on steel rods and have an adjustable mount roof bracket. Desktop copper vanes, on the other hand, have a brass mounting rod with a solid brass base. Copper weather vanes are created by hammering copper into cast iron moulds. Then the pieces are trimmed by hand and soldered into the final figure. Parts of the vane are made separately and then joined together, and some of the more intricate parts are cast in bronze. Making intricate copper weather vanes is still considered to be a folk art. Copper weather vanes are available in several designs including roosters, ospreys, eagles, attack eagles, ascending geese, landing ducks, feathered geese, blue herons, three geese in flight, pelicans, peace doves, pheasants, quail, cows, horses, bulls, foxes, whimsical pigs, golden retrievers, lab retrievers, cats and mice, deer, moose, elks, dolphins, whales, bass, sailfish, schooners, yawls, sailboats, sloops, mermaids, lighthouses, country doctors, angels, pineapples, pine trees, locomotives, planes, biplanes, low wing planes, moons, suns, stars, arrows, banners, flags, golfers, firemen, lamplighters, handsaws, and many more. Copper weather vanes are suitable for any kind of a location, be it a farmhouse, church, residential house or corporate building. Different finishes can add class. Antique copper weather vanes are very valuable. New weather vanes are now made to look like old ones in order to increase their value. Copper weather vanes can also be specially designed according to customer’s desires. Nowadays, weather vanes are rust free and maintenance free. Rooster weather vanes can be made of copper, bronze, brass or steel. Rooster weather vanes are also designed in various models, sizes and breeds. Some vanes have additional arrows while in other vanes, the rooster itself indicates direction. Rooster weather vanes are also available in several models, such as deck or fence weather vanes, lawn weather vanes, roof top weather vanes, table top weather vanes, and more. They are also provided with the other accessories like cupolas, mounting shafts, and roof mount bases. Modern rooster wind vanes are also mounted with an anemometer, a device for measuring the speed of the wind. They may also be connected to a remote reading station. They can be crafted as per requirements in terms of design, size, shape or the material used. Even today, weather vane artists are enjoying the opportunity to create new kinds of rooster weather vane forms in addition to recreating the old forms. Blue heron weather vanes have a very majestic look. The look of a blue heron on the roof of a building can be really eye-catching. Blue heron weather vanes are very popular as they make great garden decorations. They are made of many different kinds of materials such as copper or bronze, or aluminum, or any other durable material like recycled rust free aluminum. This makes the vanes very strong and durable. They are also easy to maintain. Some garden weather vanes are also provided with a garden stake and pin for easy installation anywhere. The have a wide range of mounting options. They can also be plated with gold or platinum or decorated with glass or paint for an extra touch. Blue heron weather vanes also make great indoor decorations. They are available in various sizes and models. Blue heron weather vanes can also be custom designed in terms of hand-painted or black silhouette, the kind of mount and brackets, the width and the height. They are offered in two finishes: polished and verdigris. Bird watchers just love the blue heron weather vane. Wrought iron weather vanes are available in several designs, such as simple arrows, shapes of animals, birds, humans, crests, exotic figurines, or any combination of these. The most common shapes are roosters, Eagles, attack Eagles, ascending geese, ducks, blue herons, pelicans, doves, quail, cows, white horses, bulls, foxes, pigs, golden retrievers, cats and mice, deer, moose, elks, dolphins, whales, bass, sailfish, sailboats, mermaids, lighthouses, angels, pine trees, locomotives, planes, biplanes, low wing planes, moons, suns, stars, arrows, banners, flags, golfers, firemen, lamplighters, handsaws, and more. Wrought iron weather vanes are also available in several models such as deck or fence weather vanes, lawn weather vanes, roof top weather vanes, table top weather vanes, and more. They are also provided with the necessary accessories and hardware like cupolas, mounting shafts, roof mount bases, spindles, directionals, brackets, and stands. 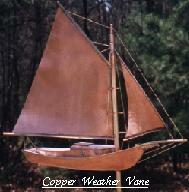 Modern copper wind vanes are also mounted with an anemometer, a device for measuring the speed of the wind. They may also be connected to a remote reading station. Modern weather vanes are rust free and maintenance free. Even today, weather vane artists are enjoying the opportunity to create new kinds of wrought iron weather vane forms in addition to recreating more traditional antique ones.